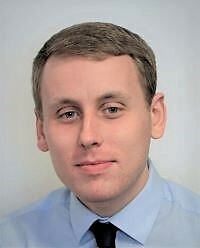 James Tompkinson (BA MSc) is a casework assistant at J P French Associates and primarily works in the areas of speaker comparison and transcription. He has carried out research on listeners’ perceptions of spoken threat utterances, earwitness voice description capabilities and the integration of vocal and facial cues in evaluative judgements. He is a member of the International Association for Forensic Phonetics and Acoustics (IAFPA) and is part of the organising team for the University of York’s CPD course in Forensic Speech and Audio Analysis. James has also lectured and taught phonetics to students at Newcastle University, the University of York and the University of Huddersfield. Tompkinson, J., & Watt, D. (2018). Assessing the abilities of phonetically untrained listeners to determine pitch and speaker accent in unfamiliar voices. Language and Law= Linguagem e Direito, 5(1), 19-37. Mileva, M., Tompkinson, J., Watt, D., & Burton, A. M. (2018). Audiovisual integration in social evaluation. Journal of Experimental Psychology: Human Perception and Performance, 44(1), 128. Tompkinson, J., Watt, D., Mileva, M., and Burton, M. (2018). Assessing the influence of vocal and facial cues on listener perceptions of threat and intent-to-harm. Paper presented at Germanic Society for Forensic Linguistics Roundtable. York. 3-5th August. Tompkinson, J., & Watt, D. (2018). Assessing the abilities of phonetically untrained listeners to determine pitch and speaker accent in unfamiliar voices. Paper presented at the International Association for Forensic Phonetics and Acoustics (IAFPA) conference. Huddersfield, UK. 29th July – 2nd August. Tompkinson, J., Watt, D., Mileva, M., and Burton, M. (2018). Perceptions of talker dominance and trustworthiness from face and voice cues. Poster presented at the 16th Conference on Laboratory Phonology. University of Lisbon, Portugal, 19-22nd June. Tompkinson, J. (2017). Challenges in the elicitation of meaningful vocal information from linguistically untrained listeners. Talk given at Speaker Individuality in Voice: Human and Machine Processing workshop, University of Zurich. 3rd November. Tompkinson, J. (2017). Introducing Forensic Speech Science: Principles, parallels and potential. Talk given at Germanic Society for Forensic Linguistics Emerging Scholars’ Day. Copenhagen. 24th August. Tompkinson, J. (2017). “They’ve been watching too many action films”: Lay-listener voice descriptions in evaluations of threatening communications. Paper presented at Germanic Society for Forensic Linguistics Roundtable. Copenhagen. 24-27th August. Tompkinson, J. (2017). Taking a different stance: Listener inference of a ‘threatening tone of voice’ from phonetic properties of speech. Paper presented at the 13th conference of the International Association of Forensic Linguists. Porto. 11-14th July. Tompkinson, J. (2017). Workshop on forensic speech science and the acoustic analysis of speech. Hofstra University, New York, April 2017. Tompkinson, J. (2016). Exploring the Effect of Phonetic Variables on Listener Evaluations of Spoken Threats. Paper presented at Germanic Society for Forensic Linguistics Roundtable. Mainz. 27-28th August. Tompkinson J., Kelly, S,. Weinberg, K., and Watt, D. (2016). Spoken threats and the forensic phonetician: What role should we play?. Paper presented at the International Association for Forensic Phonetics and Acoustics (IAFPA) conference. York, UK. 24-27th July.